Tempel Synagogue dates from around 1862 and was built by Krakow's Reform Jews. 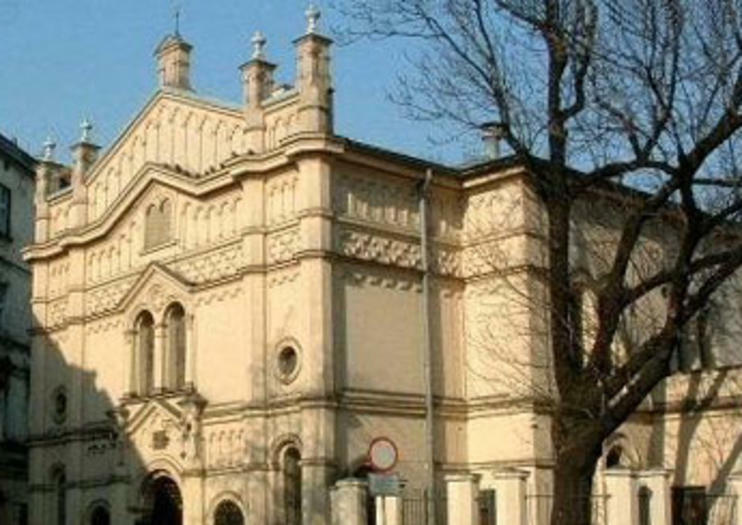 It is the only still functioning synagogue in Kazimierz, the Jewish area of Krakow which had its population decimated during World War II. The building is a Neo-Classical style with Moorish interiors. It was badly damaged during the war when the Nazi's used it to store ammunition, but it was repaired and services resumed after the war. These days services are only held a few times a year, but the synagogue remains a place of worship. It also hosts concerts of Jewish and classical music. it is worth seeing for the contra st between the austere facade and the brightly decorated interior of gilded woodwork and ceiling, lit by stained glass windows.